Facebook is one of the most popular social networks available and used globally founded in February 2004. Because of its features which creates emotional bonding between people, good at psychology usage, provides a better interface, gives a huge amount of information as people all over the world can interact, a good source of recreation, sharing the content amongst close ones and stay connected with them along with high security. But all the highlights and assets that FB provides, it also sustains various liabilities and challenges just like any social network possesses. As personal data is shared online, therefore, people with malicious intentions tend to find Facebook a source of harassment. With the increase in cyber bullying cases, the already high security of FB has been taken to next level by introducing anti-bullying tools. Over 2 billion users that Facebook has, it is but obvious that there will be a group of people who will attack or harm others’ sentiments but hate speech, comments, rude and offensive statements as the identity is hidden and it gives a false right to the person to exploit the freedom a social network provides. • Facebook has now provided new options by which one can choose to be even more secure by using a new comment moderate tool which can delete multiple comments at once thereby letting the user manage the interaction thereby letting you get of negative comments. This option is out on androids and desktops at first and will be available soon on other platforms as well. • The appeal tool will enable people to take decisions on cases involved in bullying and harassment. Another review of the post, photo, and videos can be done on request by people that have been taken down because of violation of someone’s privacy, hate speech or too much graphic violence. Another chance will be given if the content has been brought down. • It will also provide new tools using which someone else can issue a report on someone else’s behalf if he or she is being harassed. • Various awareness programs are being expanded which helps the younger users understand the risks they can suffer and the ways at their disposal that can help them out. A recent new Facebook partnership has been introduced with the National Parent Teacher Association in the US to facilitate 200 communities to address technology-related challenges encountered by families which also includes bully prevention. • There will be better protection for public figures. Being a public social network, people give their opinions and discuss things on the public figure which directly or indirectly affects and harms an individual’s privacy. The Facebook has extended its protection policies to provide better protection to public figures irrespective of their age against harassment. • The Diana Award anti-bullying programmers have been involved to mold the attitude and behavior of young people towards bullying. • The feature of Facebook Marketplace was introduced in 2016 to promote trade locally. Artificial intelligence has also been announced as a feature for the marketplace as it makes the marketplace more personalized for the buyers as well as the sellers. This has made trade secure and flourishing on a social media platform. These measures should have been taken way back but it is never too late for implementation of progressive measures. Hope these additional steps will improve the overall security and restore faith in social media to some extent. In the end, it comes down to the individual’s choice to use or misuse a certain privilege that has been imparted. 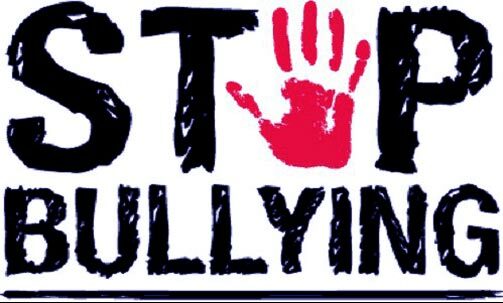 The awareness programs against bullying start from the individual as well as community level and with strict measures, policies and support the abuse can be made thoughtful and progressively empowered.